An iOS app is using the "draw me like one of your French girls" meme to hilarious effect by letting users draw portraits of strangers a la Kate and Leo. 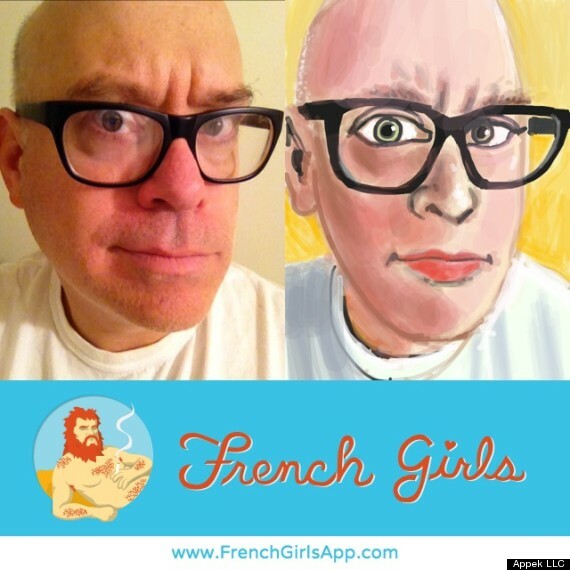 The French Girls app has users upload selfies and post them anonymously to the feed. 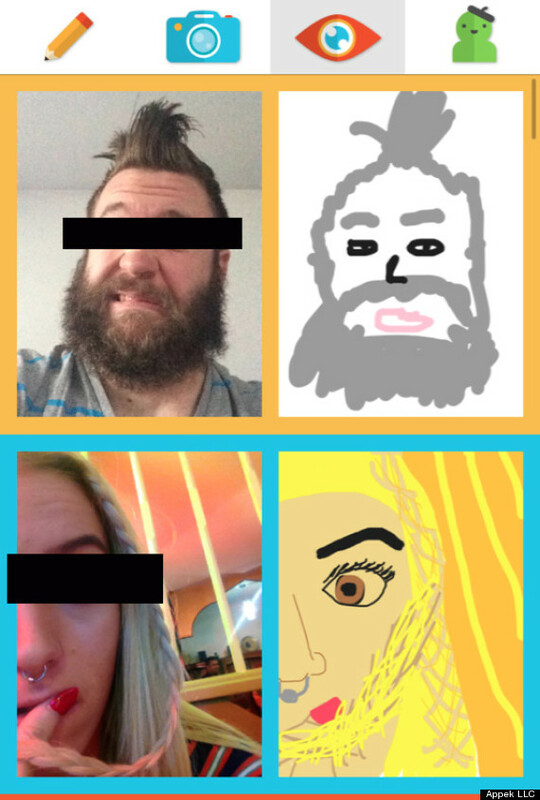 Strangers can then recreate the portraits as rudimentary cell phone drawings. No names are exchanged, there's no interaction between artists and photographers, and there's no way to know with which of the app's 700,000 users you're interacting. The entire anonymous community is seemingly built around our culture's fascination with self-portraits, but the app's founder, Adam Ceresko, says that was a total fluke. "When we created the app, the concept of 'selfies' hadn't really taken off yet. We just thought it was something easy to recreate," he told The Huffington Post. That bet has paid off. Driven by users' vain obsession with taking pictures of themselves, "French Girls" -- which was created in a 48-hour hackathon more than a year ago -- has gained hundreds of thousands of new users in the last month alone, and that growth shows no signs of stopping. Upon opening the app, users are presented with a feed showing the latest uploads. Users can scroll through and see others' portraits, or start uploading their own by using the in-app camera function. Or they can just get drawing. 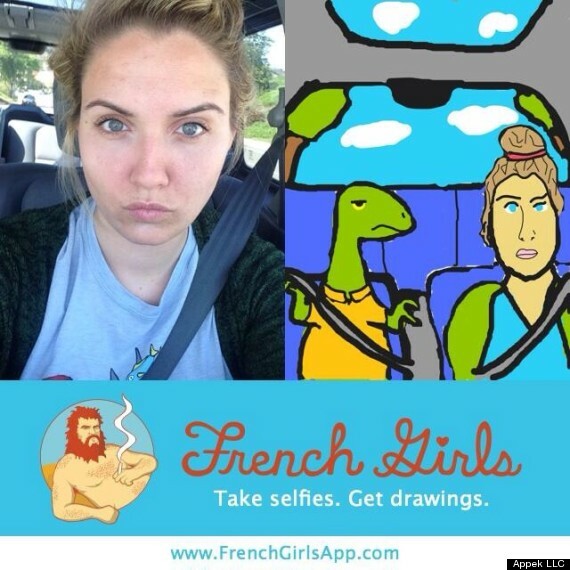 The drawing is what truly make the "French Girls" community unique. Whereas those on Twitter and Facebook post updates to rack up meaningless "likes" or to just silently stalk others, "French Girls" is full of members who recognize there's a give and take to social media. To get a portrait back, you have to give one. To my artists, wherever you are, thanks for doing my unibrow the artistic justice it deserves. And because you never know if your next selfie is going to be become a cave painting or a Monet, you keep uploading to find out. So what's next for "French Girls?" According to Ceresko, it's about to get a lot more social. The team is currently working on building a "like" system for the app. Creators are also toying with the idea of giving users Instagram-like usernames and a chat function to interact with the strangers they meet through the app. 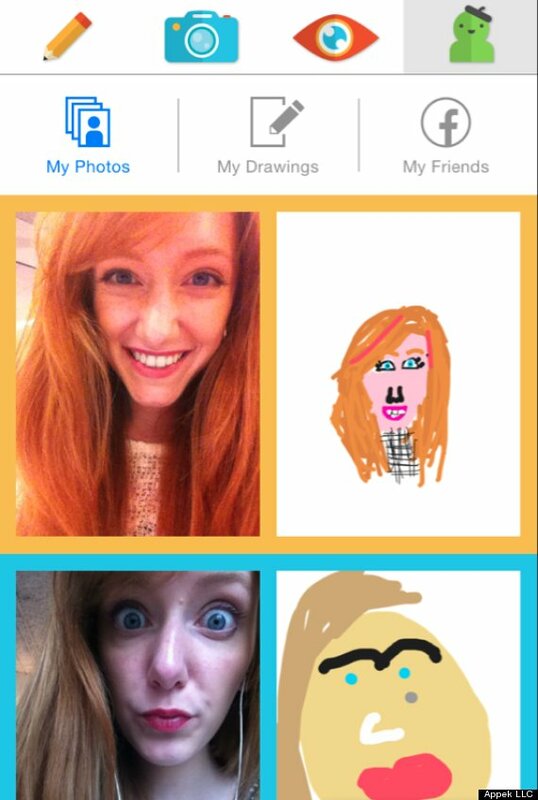 "The idea is to make it more like Instagram than Draw Something," Ceresko says. "It's so easy to feel connected with someone through this great icebreaker, and there's no reason it has to stop at selfies." For now, though, it seems like the app has found it's stride by banking on the selfie addiction. Try the app for free from iOS.